This statistic shows the annual percentage change in the Gross Domestic Product of the United States from 2010 to 2018, by quarter. The Gross Domestic Product refers to the market value of all final goods and services produced in a country within a given period. In the fourth quarter of 2018, the GDP of the United States was three percent higher compared to the fourth quarter of 2017. The GDP of the United States amounted to 20.5 trillion U.S. dollars in 2018. 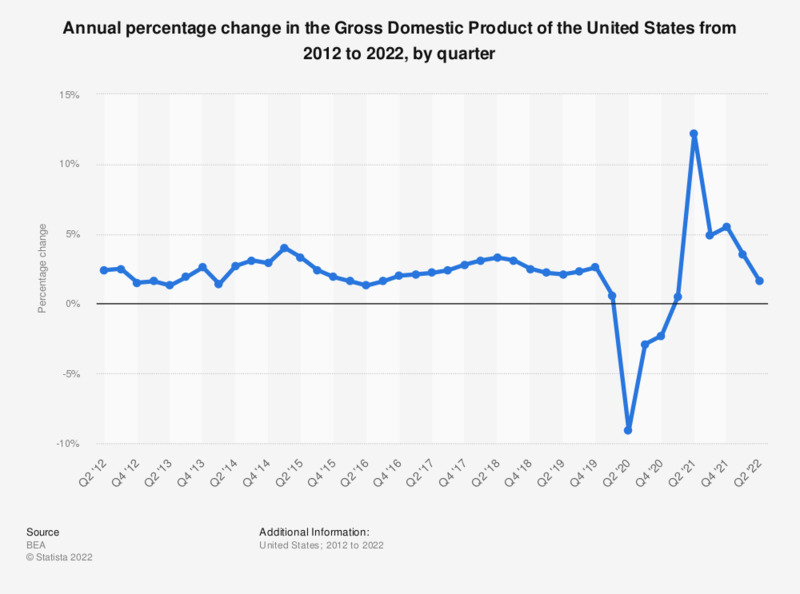 The annual GDP of the United States can be found here, the growth per quarter can be found here and the overall quarterly GDP growth can be found here.